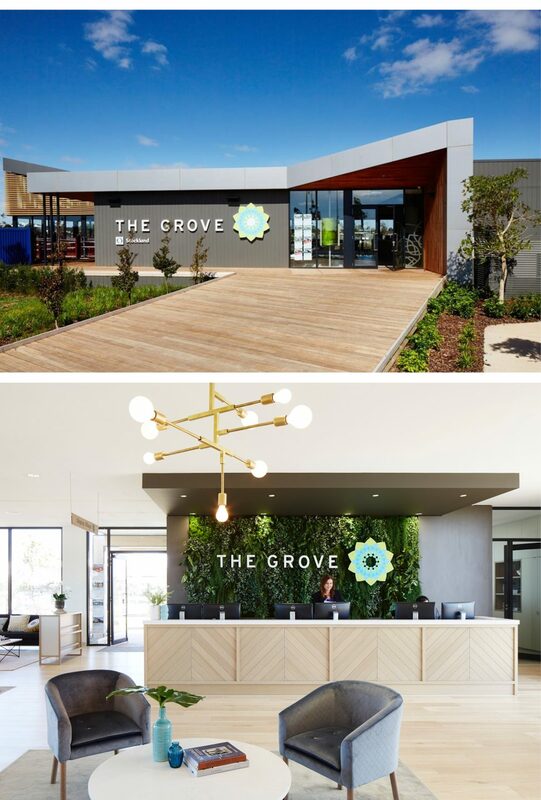 The Grove Sales and Information Centre has been collaborated closely between Arkee and Stockland VIC. The design for The Grove has been developed as a prototype for use in other sales and information centres across the country so it was important to design a functional yet visually exciting experience for the buyers to enjoy. It was important to capture the sales journey without overwhelming buyers with marketing messages and was a process of ensuring the right balance between the two. 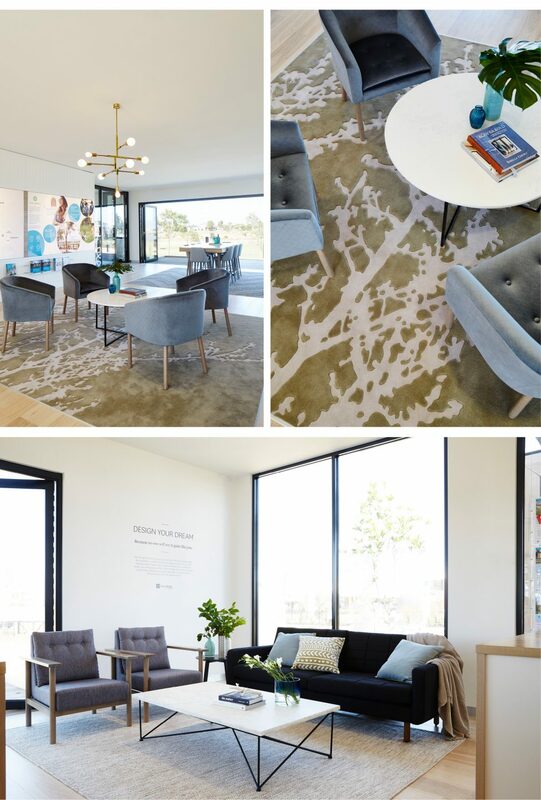 The colour pallet reflects the surrounding Davis Creek and Werribee River incorporating a soft mix of grey and natural tones. The custom joinery was an intricate design process of combining function and aesthetic. It was necessary to find the right harmony to ensure it was fit for purpose but also became a sculptural and bespoke piece. 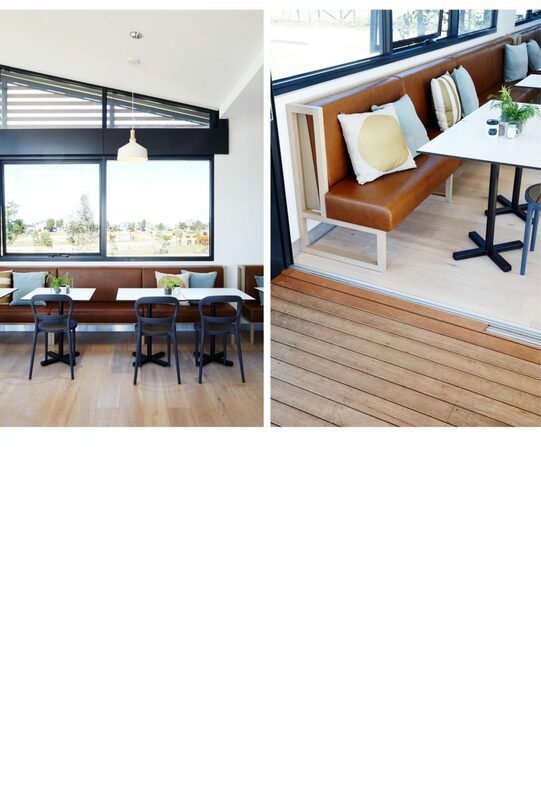 The café area continues to follow these themes with a sleek soft front counter, custom bench seating that has been thoughtfully located to overlook the surrounding landscape and wetlands. 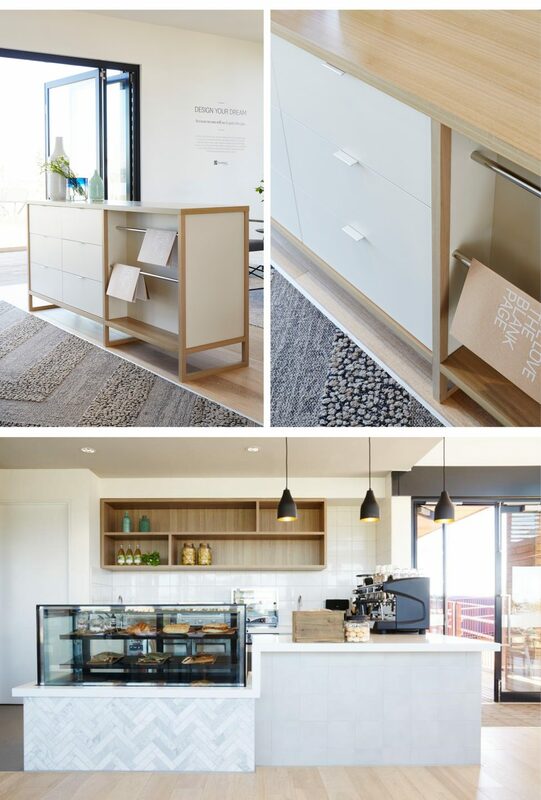 The selection of furniture and styling items were designed to complement the bespoke joinery and flow of the sales & information centre. Arkee specified and installed all of the furniture pieces to ensure the final elements of the design were cohesive and well rounded.